Over 400 former and current Mules baseball players, as well as families, friends, UCM leadership and sponsors joined together in support of Mules Baseball at the Second Annual First Pitch Banquet in late January. 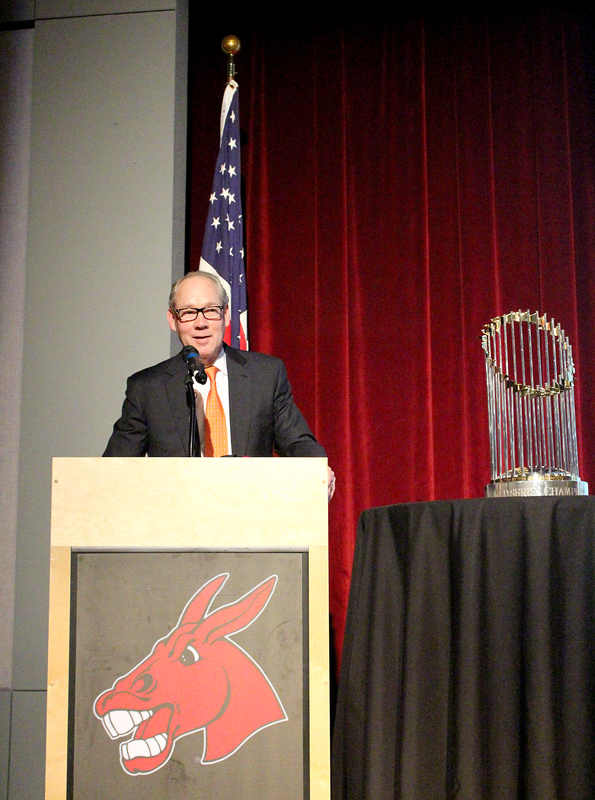 Attendees enjoyed the opportunity to hear from keynote speaker Jim Crane, UCM alumnus and owner of the 2017 World Series winning team—the Houston Astros. Flanked by the World Series trophy, Crane talked about his journey from Central to owning the Houston Astros. UCM alumnus Jim Crane, owner of the 2017 World Series team the Houston Astros, speaks to the 2018 First Pitch attendees. 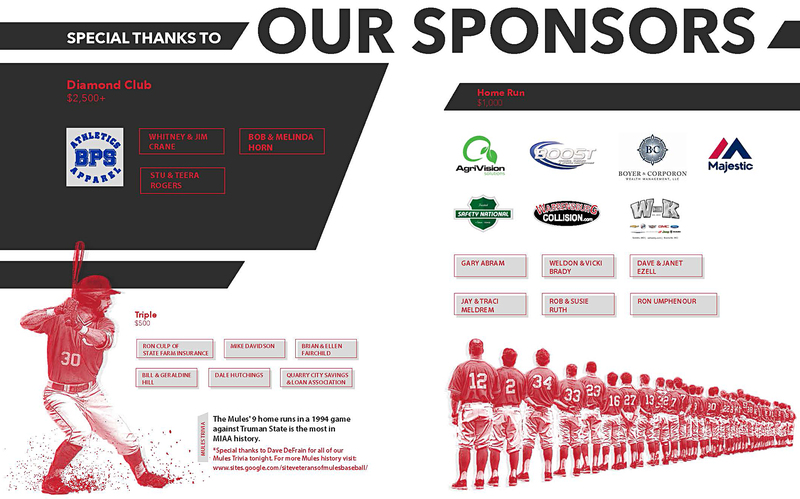 Over 20 sponsors (see below) made gifts in support of the event and a silent auction, featuring incredible sports memorabilia such as a signed ball from the World Series Astros team, raised approximately $40,000 in support of Mules Baseball operations. 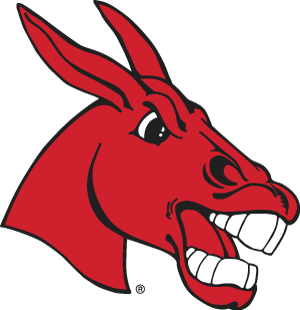 The event also inducted three players—Chris Curry, Nick DiBiasse and Brooks Martin—into the Mules Baseball Diamond Club, joining part of an elite group of alumni players. THANK YOU TO OUR GENEROUS SPONSORS: WITHOUT YOU, THIS EVENT WOULDN'T BE POSSIBLE!